In connection with this investment, PICC Life and AIG agreed to form this joint venture agency distribution company. Products under consideration to be distributed by the joint venture company include jointly developed life and retirement insurance products, existing PICC life products, PICC Property & Casualty (P&C) insurance products, AIG P&C products, as well as other products aimed at meeting the needs of this developing market. AIG will own 24.9% of the distribution company, with PICC Life holding the remaining 75.1%. Board seats as well as management assignments will be based upon share holdings. AIG and PICC Life plan to commence operations of the joint venture by the first quarter of 2014. The exact timeline is subject to regulatory approval. Founded in 1949, PICC is the largest insurance company in China. In 2012, it ranked 292nd in the 2012 edition of the Global 500 published by Fortune magazine, with total annual revenue of US$36.5 billion. PICC is an investment holding company. The Company operates its P&C insurance business in the People’s Republic of China through PICC Property and Casualty Company Limited, which currently has the largest market share in the country. PICC operates its life and health insurance businesses through PICC Life and PICC Health Insurance Company Limited (“PICC Health”). As a full service financial group, the company also has operations in the areas of asset management, investment management, funds, trusts, and other specialties. American International Group, Inc. is a leading international insurance organization serving customers in more than 130 countries. 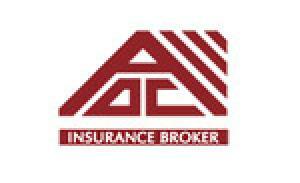 AIG Insurance Company China Limited is a wholly owned subsidiary of AIG with headquarters in Shanghai. It is the largest foreign-funded P&C insurer with the longest history in China.